Prince Louis Ferdinand, Jean Laurent Mosnier, 1799. As one of the leading figures of the “Berlin War Party”, Louis Ferdinand actively fought against King Friedrich Wilhelm III’s policy of neutrality towards Napoleon. He liked to be seen frequenting the saloons of Berlin and was in contact with many of the major intellectual and artistic figures of his time. On top of this, Louis Ferdinand was a celebrated pianist and gifted composer, and his friendship with Ludwig van Beethoven is well-known. Beethoven even dedicated his Piano Concerto No. 3 to the Prince. Though the published musical oeuvre of the prince from the House of Hohenzollern comprises a mere 13 works, they were widely disseminated and significantly influenced later composers such as Robert Schumann. Louis Ferdinand’s importance as “the first Romantic in the history of music” continues to be underestimated. This exhibition, organised by the Kunstgewerbemuseum of the Staatliche Museen zu Berlin together with the association Musik in Brandenburgischen Schlössern and occupying two rooms in Köpenick Palace, places particular focus on the Prince’s musical production, set against the backdrop of important phases in his turbulent life during a time of radical historical upheaval. 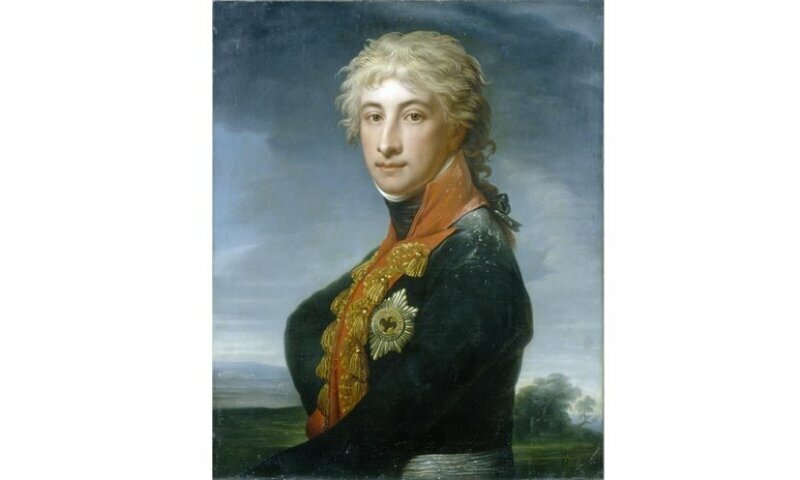 It was not just his physical appearance and musical ability, but above all his early death in combat against Napoleon’s troops at the Battle of Saalfeld that contributed heavily to Louis Ferdinand’s rapid glorification as the heroic “Prussian Apollo”. In the House of Hohenzollern on the other hand, his lifestyle and his oppositional stance led to him long being viewed as an enfant terrible. Important biographical, musical and historical aspects are presented in the exhibition on informative text and image panels, using a number of original documents. A striking image of the ornate furnishings and fittings of the Berliner Salon at the time of Louis Ferdinand is conveyed by seldom-exhibited works from the rich holdings of the Kunstgewerbemuseum.